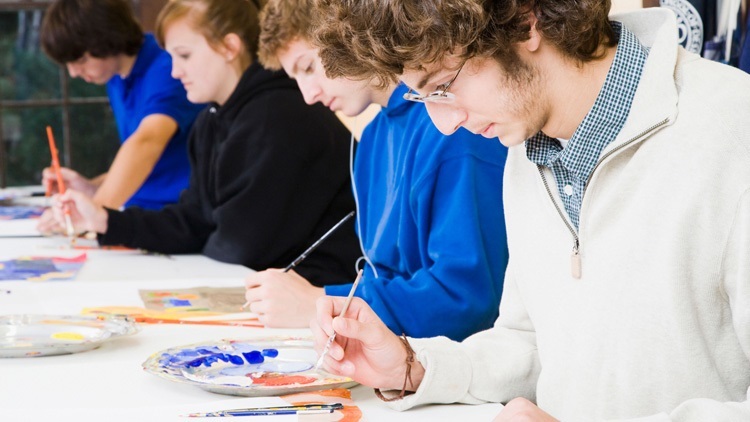 KS4 in art can be a busy, exciting and sometimes daunting time for both teachers and pupils. Pupils starting in Y10 or KS4 suddenly start to feel the weight of their decisions as the talk of GCSE results, prep work and coursework all come at once. New projects are started, pupils have more responsibility and often the outcomes produced by pupils are much more personal than at KS3. In my new Y10 art groups, I noticed a sudden shift in atmosphere as soon as I mentioned exams or mocks. Pupils start to see that their actions in the classroom each day have consequences further down the line. I don't see this as a bad thing, if anything I encourage it. I think it's useful for pupils to think critically about what they are doing in the classroom, especially when it comes to art and design. From the layout of their sketchbooks, to adding a thin border rather than a heavy one, to working in pencil before pen. These small things then start to become engrained, resulting in better end results. Outlining new expectations with groups, however, brings the risk of overloading them with information. I often talk about projects as a whole, explaining possible outcomes and various stages, using models and exemplars. It is a lot of work, and the pupils realise this, which can sometimes lead to negative responses. Some pupils see the work as a challenge, others as a daunting, unachievable target that they will never reach. Overcoming part of this problem comes naturally as a teacher; we have lesson aims, timed tasks, clear outcomes, we offer various types of support and feedback depending on the pupil etc. The last thing we want is to put pupils off a project or brief before we have even started. I have found that the most eager and engaged pupils want to complete the work as quickly as possible, often to the detriment of quality. They recognise that there is a lot of work in the project, and rush through the coursework to stay up to date. To overcome this issue and slow pupils down, I carefully plan a lesson which has only one outcome or 'final piece' (usually a small painted study or drawing). For example, at the moment we are working on a mark making and landscape project so I have asked pupils to create a series of watercolour studies exploring movement. For the second lesson, as I introduced more work to the pupils, I asked for a series of outcomes to be completed, however I informed the pupils that these do not need to be finished by the end of the lesson. The majority still tried to complete the work as quickly as possible and saw the end of the lesson as the deadline, regardless of what I said. In the third lesson, I gathered the pupils around to compare their pieces from the first and second lessons. Pupils can then see that the piece they spent more time on is of a higher quality, and this is the case for the majority of classes I have had. I can then stress the importance of taking time with work, rather than rushing through to finish as soon as possible. Allowing pupils to make mistakes is, of course, part of our role as a teacher and I often refer back to these initial tasks with pupils when I think they are rushing work or becoming stressed. This also allows me to drive home the importance of working outside the classroom. 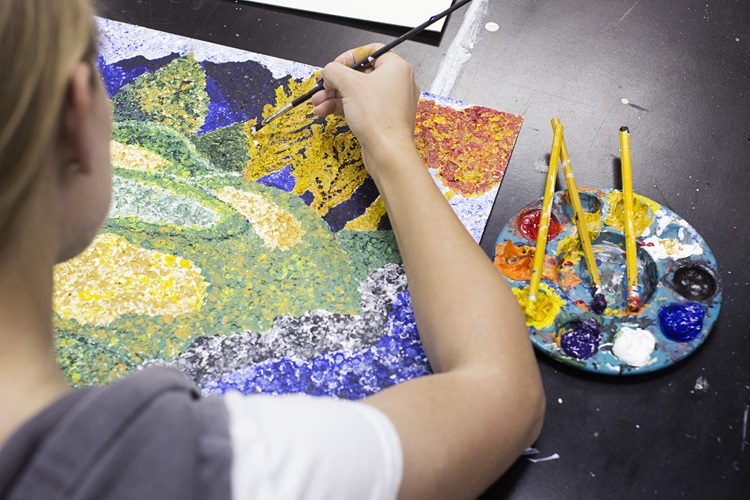 Anyone who makes or teaches art knows that it is a time consuming subject, so getting pupils into the habit of working at home or in their own time is important. I have found that this is a great way of initiating that work ethic, as pupils can clearly see the benefits. Gthomasart is a teacher of KS3 and KS4 art and design in the North West, and also tweets about art and education at @rockinorange.